J.Ryan Parker, a friend and fellow theology minded film blogger, (Pop Theology on Patheos.com) asked me if I saw The Revenant. 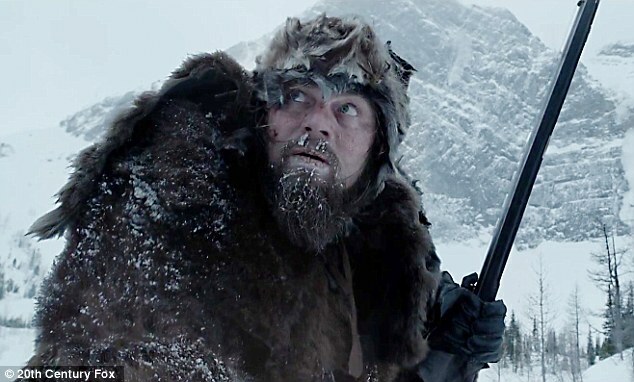 My response was an immediate “no.” The new film epic starring Leonardo DiCaprio as Hugh Glass is not merely viewed; it is one of the rare films that is experienced. Alejandro González Iñárritu‘s epic is based loosely on the legendary story of Hugh Glass, a frontiersman working along the Upper Missouri River in present day South Dakota. While serving on a large expedition to trap beavers, Glass was injured when the party was attacked by a group of Airikaras. Later he was viciously mauled by a bear defending her cubs. Fearing further attacks, and believing Glass’s wounds were mortal, the surviving expedition members left two men behind to bury Glass after he died, which would be within a day or less. The two men abandoned Glass when, after a week, he was still clinging to life. Miraculously Glass regained consciousness and, surviving on berries, roots, and rancid meat left from wolf kills, crawled and walked the 200 miles to the nearest outpost. The story has grown into legend and The Revenant (one who has returned, particularly one who was or was believed dead) is the second film to tell the story. Included in Iñárritu’s screenplay are contested elements of the Glass legend, that he had spent time living with Pawnees where he had a wife and child. Unlike the historical account of Glass’s legend, The Revenant takes place in the winter which adds even more obstacles to Glass’s surviving the unimaginable trek. Even though there are narrative elements added to the story, The Revenant depicts the harsh conditions of early nineteenth century frontier life and the thread thin difference between life and death. The Revenant is the rarest of films. It is a very action oriented epic, yet it has scenic beauty and acting that rivals any small, independent, art house film. Iñárritu’s ability to put the viewer in the middle of the action rivals, and at times surpasses that achieved by Steven Spielberg in Saving Private Ryan. The mauling scene is among the most compelling action sequences ever filmed. While this scene is the pinnacle, there are several other unbelievably filmed action sequences and situations throughout the 156 minutes. In addition to these unimaginable action sequences there are scenes between Glass and his son Hawk, and visions Glass has with his murdered wife that are intimate and emotional and add unexpected depth to the character of Glass. The cast offers many enthralling performances. 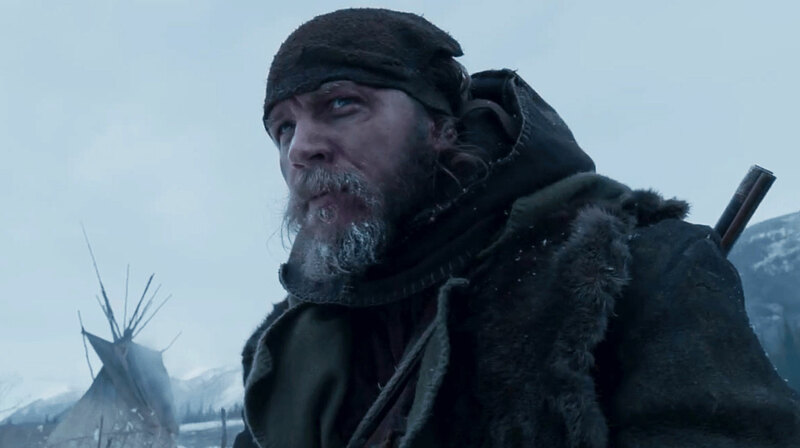 Tom Hardy‘s performance as the grizzled and savage antagonist John Fitzgerald, whose self-centered nature in a land that mandates sacrificial support of others, is superb. Leonardo DiCaprio’s performance however is among the most compelling in decades and will go down as a seminal acting achievement. Due to his injuries Glass is unable to speak, requiring DiCaprio to communicate solely through grunting, breathing, and contorted body motions and facial features for much of his time on screen. DiCaprio uses each of these tools to convey not only the physical pain associated with his injuries, but also the emotional and spiritual pain and loss his character experiences as he literally claws his way out of the grave. 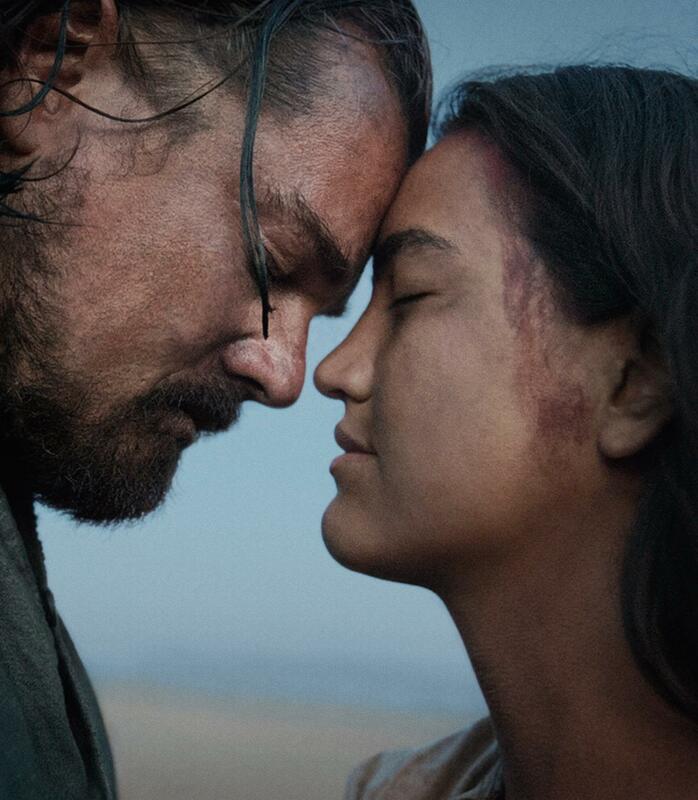 In an interview with Charlie Rose, DiCaprio described The Revenant as not just a film project, but a chapter in his, and the entire cast and crew’s lives. The production of the film itself modeled the epic nature of Glass’s legend. Using only natural lighting in some of the most rugged terrain, the film shoot spanned 9 bitterly cold months in mountainous locations in Canada, Montana, and Argentina. After seeing the film, one can hardly disagree that the film was a chapter in the life of the cast and crew. Ryuichi Sakamoto‘s haunting score is felt as much as heard and exquisitely enhances the cinematography, narrative, and overall feel of the film. Emmanuel Lubezki‘s cinematography captures the grand beauty of the South Dakota Rockies, and the power of the Upper Missouri River, but he also communicates the intimate, and snowflake delicate nature of the pristine mountain forests. In addition to presenting the triumph of determination, the parallel theme is revenge, and the power revenge can have to fuel determination. Glass is believed to be a revenant because of his surviving against all odds. However, it is questionable whether to what extent has he survived. While his body is alive, it is unclear the state of his spirit. Did the determined desire to exact revenge which fed and strengthened his body, diminish and slay his soul? In his Sermon on the Mount in the Gospel of Matthew, and his Sermon on the Plain in the sixth chapter of The Gospel of Luke, Jesus teaches disciples the ways of life in God’s Kingdom. Disciples are to live Kingdom lives on earth and as such resist the temptation to exact revenge including seeking the worldly legal remedy of an eye for an eye. Instead, disciples are to turn the other cheek, forgive and even love enemies. In the twelfth chapter of Romans The apostle Paul teaches followers of Christ to live new lives found only in Christ and not be conformed by the ways of this world and life. Seeking revenge is one such worldly way of living. In contrast, followers of Jesus are to transform themselves, others, and be a part of God’s transforming the world by living lives that reflect the life and way of Christ and God’s Kingdom. Later in the same chapter Paul teaches that followers are not to repay evil for evil, nor take revenge against others. Judgement, including revenge, or grace, is strictly the domain of God. While the film’s ending may be ambiguous for many, what is clear is the toll revenge takes on the soul if not the body. While seeking revenge might have pushed DiCaprio’s Hugh Glass to survive against all odds, it was not enough to bring relief or ultimately restore the life lost to him. Thankfully, few in our place and time have to endure such suffering. Unfortunately, lives built around revenge, anger or bitterness toward enemies or even loved ones are common and result in emptiness if not death of spirit. 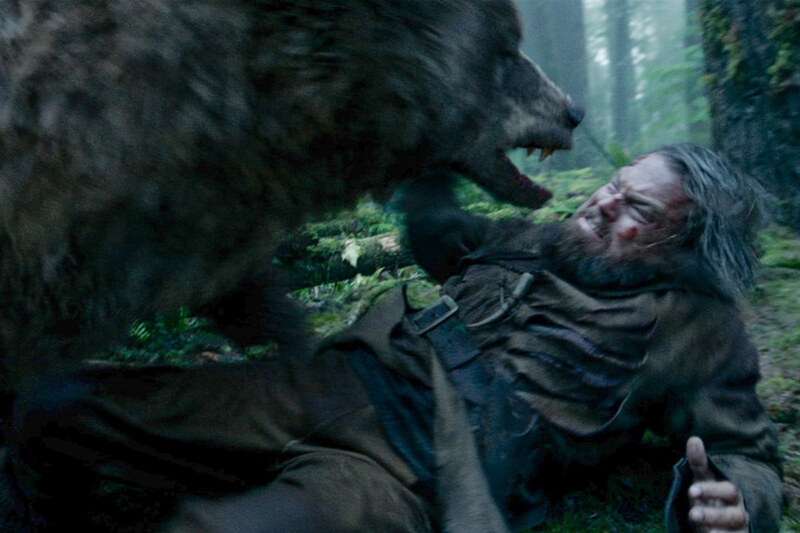 The Revenant is rated R for graphic violence and language. While the violence is extreme and not for everyone, it is not gratuitous in that it serves the narrative and the eventual teaching element of the story. This entry was posted in Faith Shots, Film Shots and tagged Alejandro Gonzalez Inarritu, Charlie Rose, faith, forgiveness, Leonardo DiCaprio, revenge, Ryuichi Sakamoto, the Apostle Paul, The Book of Romans, The Gospel of Luke, The Gospel of Matthew, The Revenant, The Sermon on the Mount, the Sermon on the Plain, Tom Hardy. Bookmark the permalink.